In terms of meaningless and useless utterances it's hard to top that one. It is what it is? Really, you don't say? I once read some business leadership article that said that if you work with someone who relies upon this statement regularly, run in the other direction. Rather than making a definitive statement about anything really, it's more or less a resignation to things as they are, there's nothing visionary about being resigned to things. I think another way of looking at the statement is from a Platonic standpoint. Did Plato use this cliche? It seems unlikely as he spoke in Greek, at least I think, but does this passe business jargon really talk about the essence of true being? For Plato all things that were or are "is" for our purposes are a sort of reflection of their eternal Form. So imagine that something that is beautiful a landscape, or a sunset, or a person is a reflection of a higher more complete Form of beauty. So for Plato, "it is what it is" would more correctly be "it is an approximation of what it truly could be." For Jean Paul Sartre he wouldn't say "it is what it is" either necessarily, though perhaps in French. For this father of modern existentialism he'd more likely say "it will become what it is." 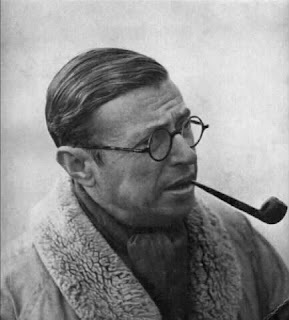 For Sartre there was no "is-ness" or being without existing and it is through that existence, the day to day being, that being can come about. His way of summarizing this complicated concept is that "existence precedes essence." So rather than us acting out some perfect Form, or as his more contemporary predecessors like Heidegger and Husserl might say "is-ness" Sartre sees us writing our own story. Our being will be determined by how we, uh, be. For today's Friday Find, it certainly is what it is. While I've come to loathe that statement I don't know a better way to describe a wine that so few people have a preconception of. 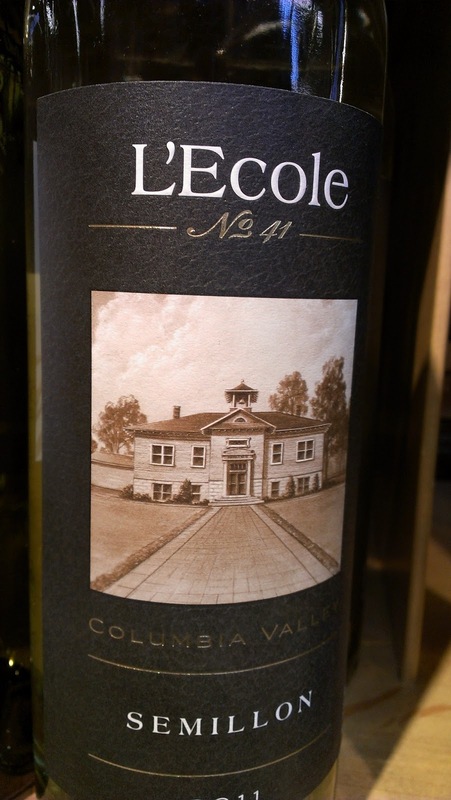 Put at the front of the list of under-appreciated varietal wines Semillon. What is it truly? Most notably a blending component for white Bourdeaux style blends very few people have attempted to demonstrate it's capable beauty, it's true essence on it's own. Thankfully, L'ecole 41 appreciates essence. This crisp and lively wine delivers bright aromatics of citrus and stone, the palate zings with lemon zest, and early season peach. The wine comes in at around $16 and while they may differ on essence Plato and Sartre would both call it quite the bargain. It is what it is, and what it was at least before we drank it all was a great wine for a Sunday BBQ. 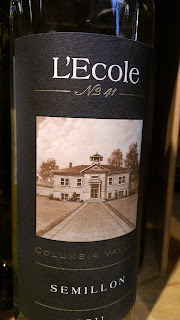 The L'ecole wines are typically available at well stocked grocery wine sections, wine shops and my neighbors found this one at Whole Foods in Interbay.